A high school football coach who ran toward the sound of gunfire, trying to shield his students. A 15-year-old Army Junior Reserve Officer Training Corps cadet who dreamed of attending West Point, but died helping his classmates escape. And a precocious 16-year-old girl ready to head to college and "change the world." They were among the 17 students and staff shot dead at Marjory Stoneman Douglas High School on Feb. 14, 2018. One year after a school shooting that shook the nation, here is a look back at the lives lost in the Parkland, Florida, massacre. 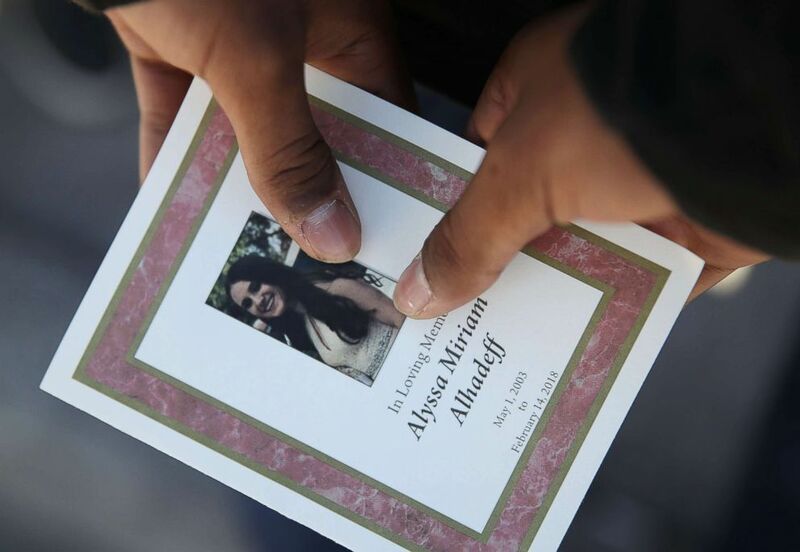 A program is seen from the funeral of Alyssa Alhadeff at the Garden of Aaron at Star of David Memorial Gardens, Feb. 16, 2018, in Parkland, Fla. Freshman soccer player Alyssa Alhadeff "took every second of her life and did something with it," her mother, Lori Alhadeff, told ABC News in March. "She had the fire to fight." Alyssa was on track to play soccer in college and had dreamed of one day being on the U.S. women's national soccer team, her mother said. "She aspired for that greatness," Lori Alhadeff said. "She was probably one of the smallest on the team but the feistiest." Laurie Thomas, the girls' soccer team coach, said Alyssa was the "voice of our team." "She was a leader, not just by what she said, but also by the character," Thomas said. "She led the team on and off the field." Months after the shooting, Lori Alhadeff won a seat on the county’s school board. 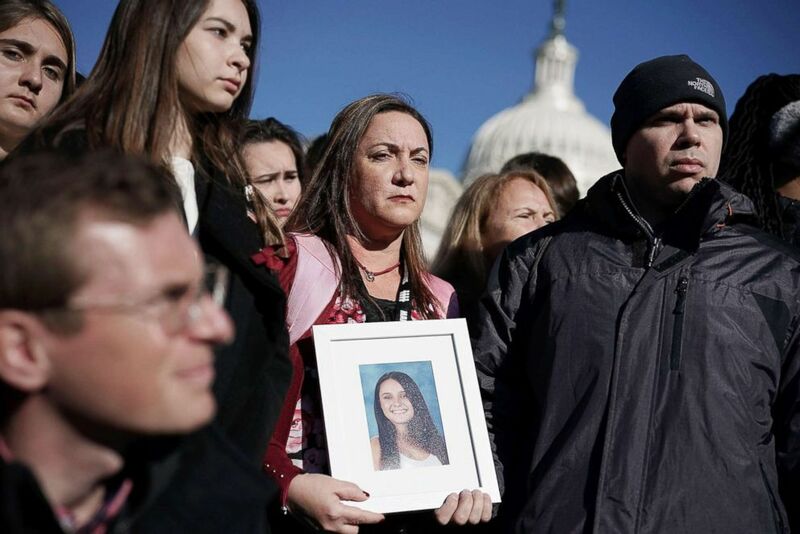 Lori Alhadeff and her husband Ilan Alhadeff right, hold a picture of their daughter Alyssa Alhadeff, a Marjory Stoneman Douglas High School shooting victim, during a news conference on gun control March 23, 2018 on Capitol Hill in Washington, D.C.
"I want to do everything possible to make this school system a model that other districts will look and try to replicate," Alhadeff said when she announced her candidacy. She said she doesn't want "any other parent to go through the pain and anguish I go through every day." Martin Duque Anguiano is seen here in this undated file photo. 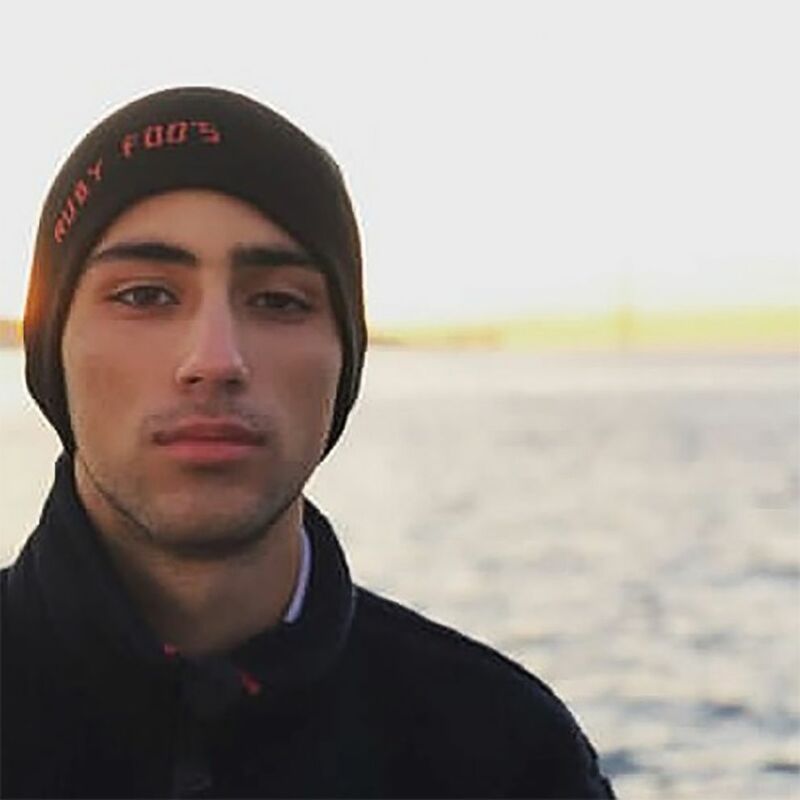 Freshman Martin Duque Anguiano, the son of Mexican immigrants, was a proud member of the U.S. Army Junior Reserve Officers' Training Corps, according to ABC affiliate WPLG. He was awarded the U.S. Army's Medal of Heroism after his death. 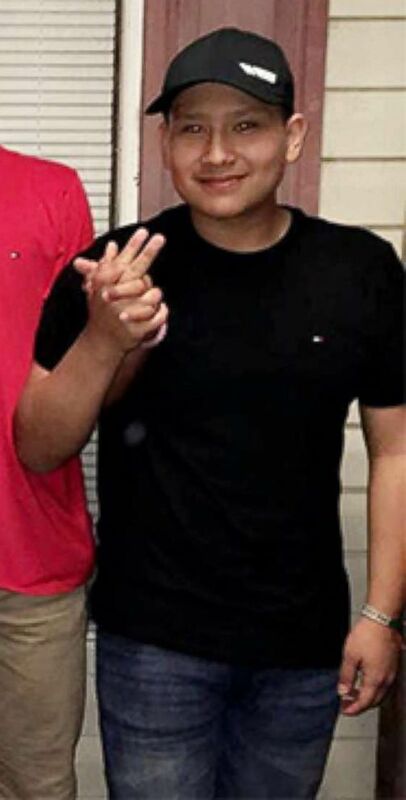 "He was a very funny kid, outgoing but sometimes really quiet," his older brother, Miguel Duque, wrote on a GoFundMe page. "He was sweet and caring and loved by everyone in his family. Most of all, he was my baby brother." "Words can not describe my pain," Miguel wrote on Instagram. "You’ll be missed buddy. I know you’re in a better place." Scott Beigel is seen here in this undated file photo. 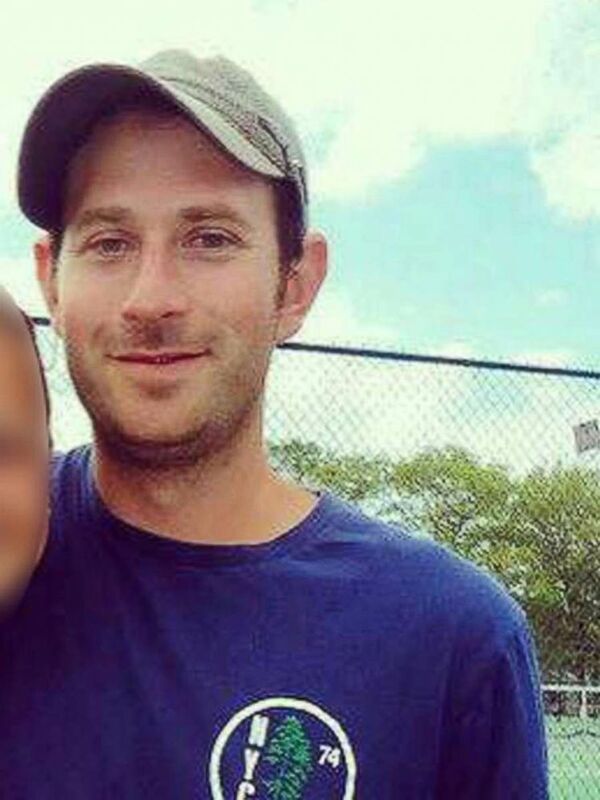 Geography teacher and cross-country coach Scott Beigel died while saving others, letting students seek refuge in his classroom, according to students and colleagues. Student Kelsey Friend, who called Beigel a "really amazing teacher," told Good Morning America" that Beigel unlocked a classroom door during the gunfire and started letting students inside. "I'm so thankful he was there to help everybody," she added. Beigel, a Long Island native, was also a summer counselor at Camp Starlight in Pennsylvania. The camp called him a "beloved friend and hero." It was at camp where he met his girlfriend about eight years ago, according to The Miami Herald. Nicholas Dworet is seen here in this undated file photo. Nicholas Dworet died one month before from his 18th birthday. 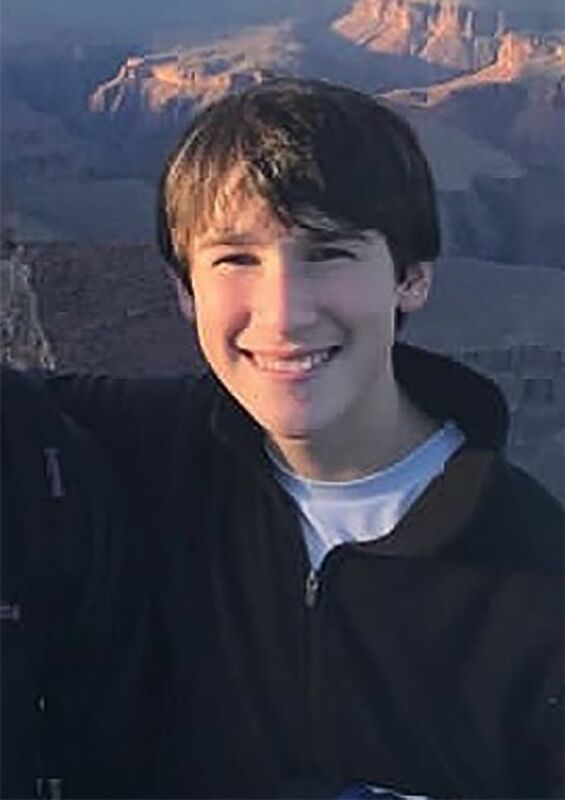 On the day he would have become an adult, Nicholas Dworet's classmates marked his birthday at the March for Our Lives rally in Washington, D.C. Some survivors have become young activists, launching a national, youth-led movement demanding an end to gun violence. "He was a happy young man full of joy and life," Dworet's family said in a statement. "He was extremely passionate about swimming," the family said. 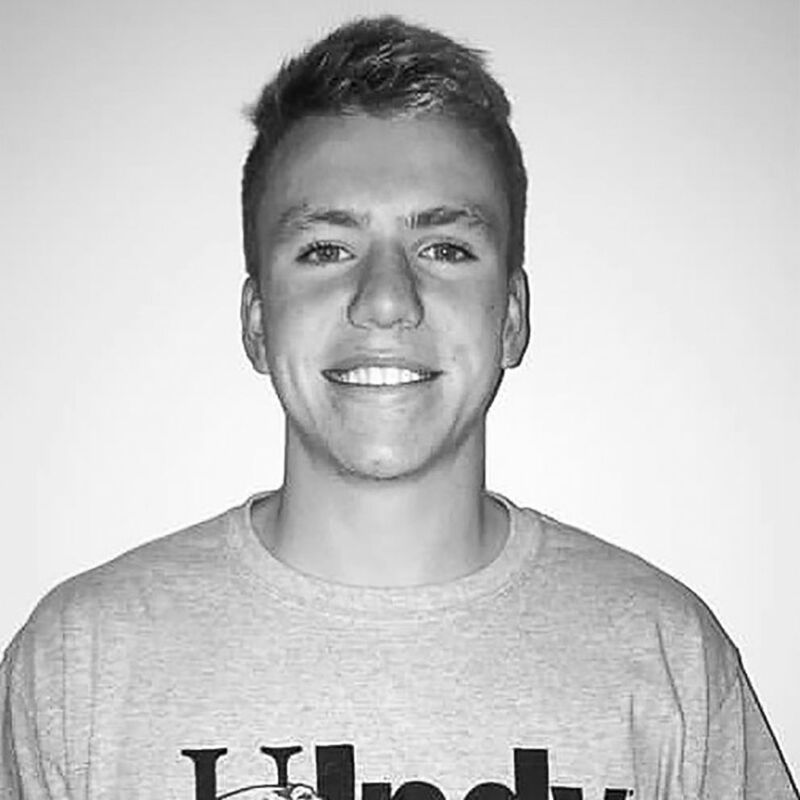 "Nicholas was thrilled to be going to the University of Indianapolis to join their swim team. He dreamed of making the Olympic swim team and going to the 2020 Olympics in Tokyo. He believed he could accomplish anything as long as he tried his best." Dworet wrote out his goals on a sheet of paper, which he hung on a wall by his bed, ESPN reported. "It's a broken dream," his father, Mitch Dworet, told ESPN. "This kid was a dream. He was the best of us." 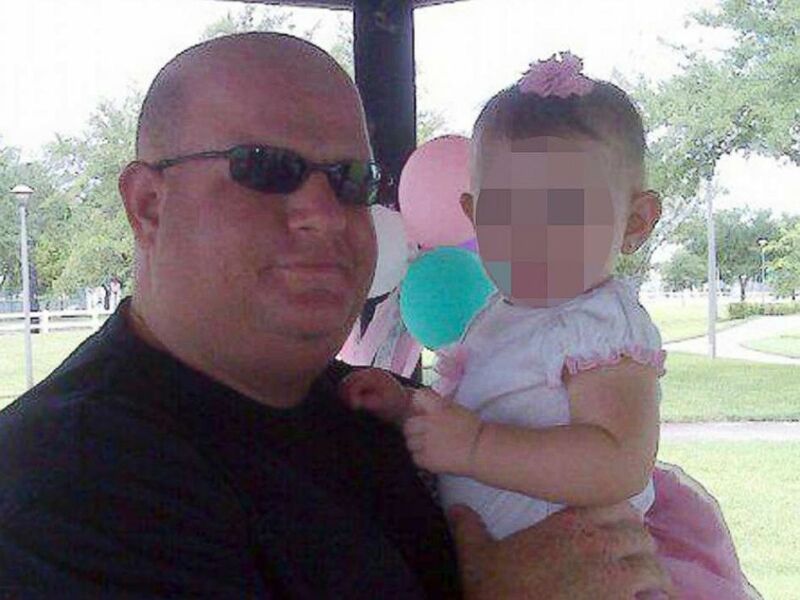 Aaron Feis a football coach at Marjory Stonemason Douglas High School in Parkland, Fla., is seen here in this undated file photo. Beloved school football coach Aaron Feis, who was also a Marjory Stoneman Douglas High School graduate, died running toward the gunfire, trying to shield students, officials said. "I coached with him. My two boys played for him," Broward County Sheriff Scott Israel said, calling him "a phenomenal man" and "one of the greatest people I knew." "The kids in this community loved him, adored him," Israel said. "He was just such a great individual." 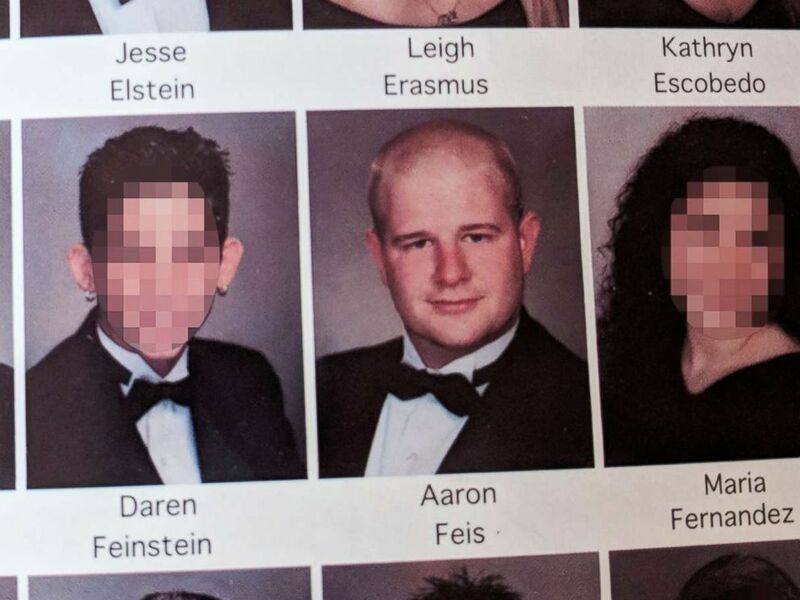 Aaron Feis is pictured in this 1999 yearbook from Marjory Stoneman Douglas High School. "The fact that he died saving lives, the guy's a hero," high school classmate Ryan Mackman said. "He was always a giving guy, he was always there for people, he had a big heart. That showed all the way to the end." Feis fell for his wife in high school and is survived by his wife and daughter, family friend Brandon Corona said at the funeral. The football coach worked two, sometimes three jobs, he added. "He always wanted to be the best dad he could be," Corona said. "He was the epitome of what a hardworking husband and father should be." Describing him as loving, strong, kind and patient, Corona said Feis gave rides home to students who needed it and "he was a counselor to those who had no father figure." Jaime Guttenberg was a freshman who loved to dance. Her father, Fred Guttenberg, was overcome with emotion as he spoke of her death the next day. "My job is to protect my children," Guttenberg said at a vigil, his voice cracking. "And I sent my kid to school." Jaime Guttenberg, a victim of the school shooting in Parkland, Fla., is seen here in this undated file photo. "In the morning sometimes things get so crazy, she runs out behind and she's like, 'I got to go, Dad, bye.' And I don't always get to say, 'I love you,'" Guttenberg said. "I don't remember if I said that to Jaime yesterday morning. "Jaime was such a special kid. All of the kids here are. What is unfathomable is Jaime took a bullet and is dead," he said, his voice trembling. "Don't tell me there is no such thing as gun violence." 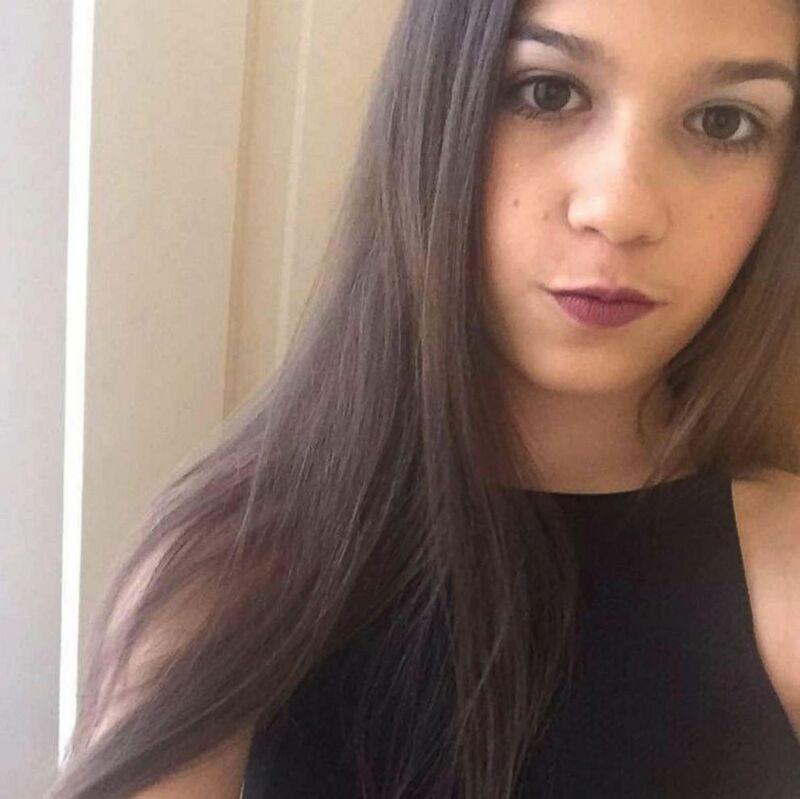 Jaime Guttenberg was a student at Marjory Stoneman Douglas High School in Parkland, Fla., and was killed when former student Nikolas Cruz opened fire at the school Wednesday, Feb. 14, 2018. To the parents at the vigil, he said: "Love your kids, hold your kids, kiss your kids. And don't ever, ever miss the chance to tell them how much you love them." 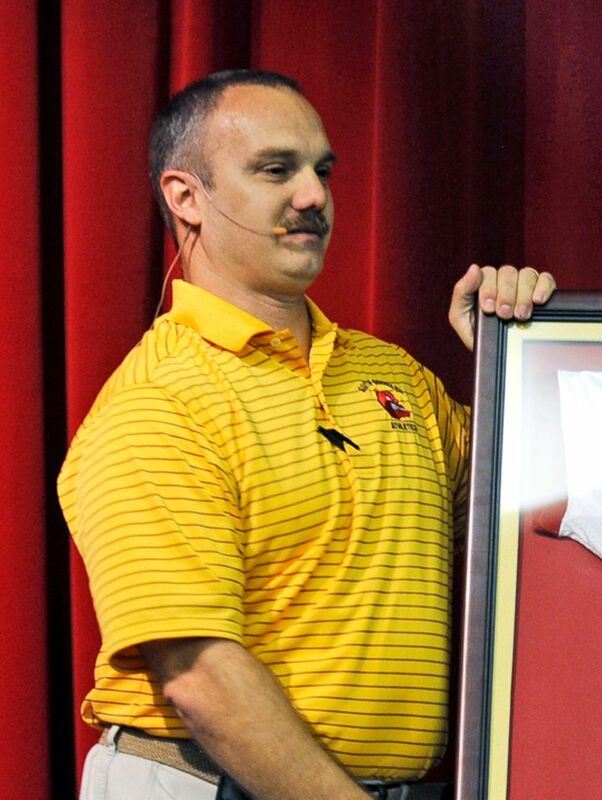 This undated photo shows Chris Hixon, the athletic director at Marjory Stoneman Douglas High School in Parkland, Fla.
Chris Hixon, the school's athletic director and head wrestling coach who was described as a role model and loving father, died running toward the shooting, The Associated Press reported. A Broward County athletic director of the year, Hixon was also a U.S. Navy reservist who had been deployed to Iraq, according to WPLG. When his wife, Debbie Hixon, heard about the shooting, she said she knew he'd try to save his students' lives, WPLG reported. “If you needed anything -- a cup of sugar in the middle of the night, he would bring it to you," Coral Springs High School athletic director Dan Jacob told ABC News. "Chris has a son with Down syndrome. He put needs of everyone else before his own." 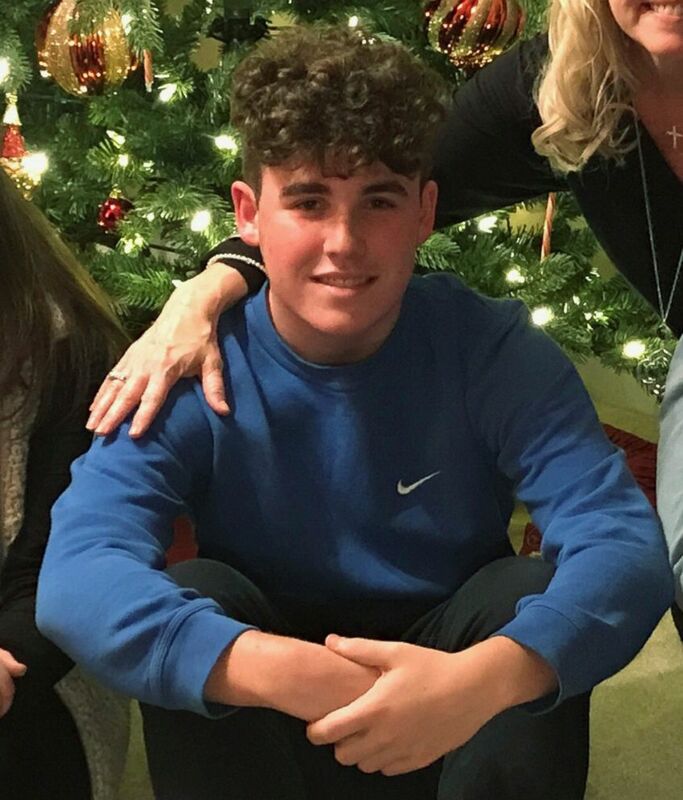 An undated photo of Luke Hoyer, a student at Marjory Stoneman Douglas High School in Parkland, Fla.
On the day of the rampage, Luke Hoyer's mother, Gena Hoyer, dropped the freshman off at school. "I love you, Lukey Bear," she told him, according to The Miami Herald. “I love you too, Mom,” he responded. Luke, the youngest of three siblings, spent a lot of time with his stay-at-home mom, his aunt, Joan Cox, told People Magazine. Luke was "an amazing individual," said his cousin, Grant Cox, according to CNN. "Always happy, always smiling. His smile was contagious, and so was his laugh." According to The Miami Herald, Luke's family said they planned to spend future Valentine's Days doing what Luke loved: playing basketball and eating chicken nuggets. Cara Loughran is seen here in this undated file photo. Freshman Cara Loughran "was a beautiful soul and always had a smile on her face," said the Drake School of Irish Dance in South Florida, where Cara was a member. After the shooting dancers at Irish dance schools around the country wore purple ribbons -- one of Cara's favorite colors -- in her honor, reported The Miami Herald. 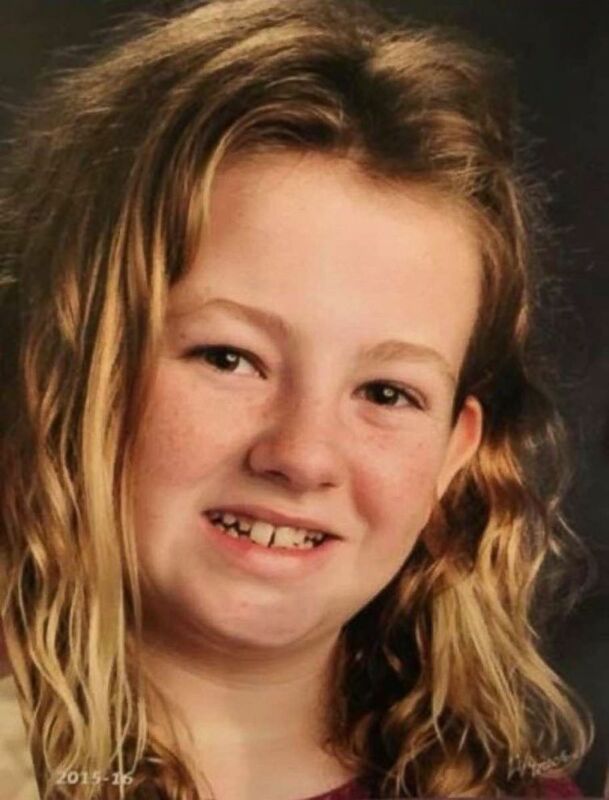 Cara, survived by her parents and her older brother, "was an excellent student" who loved her 8-year-old nieces, said her aunt, Lindsay Fontana. "We are absolutely gutted," Fontana wrote on Facebook. "I never got to say goodbye to her," Cara's friend, Mackenzie Mirsky, told ABC affiliate WPLG. "I can't close my eyes without thinking of my friend." 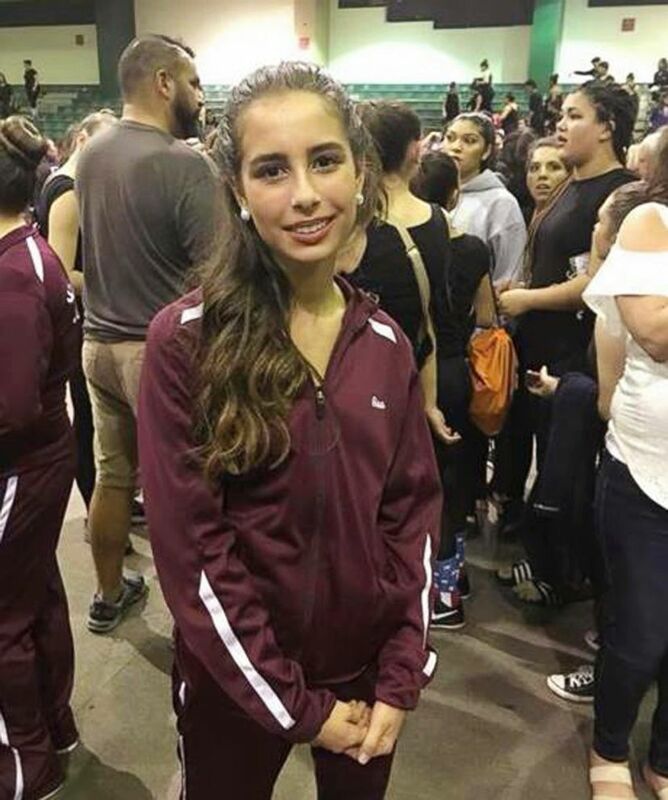 This photo taken from Facebook shows an undated photo of Gina Montalto, a student at Marjory Stoneman Douglas High School in Parkland, Fla.
Gina Montalto "was a smart, loving, caring, and strong girl who brightened any room she entered. She will be missed by our family for all eternity," her mother, Jennifer Montalto, wrote on Facebook. Gina was a Girl Scout, a church volunteer, a soccer player and Color Guard member who "earned top-notch grades," The Miami Herald reported. "She loved to cook with her Father and her Grandmother, especially during the holiday season," her parents wrote on a GoFundMe page. "She was an avid reader and loved Harry Potter books, Hunger Games and Wonder Woman. She loved fashion and enjoyed shopping, spa days with Mom and NY Jets games with Dad." "She was best buddies with her little brother and she loved her whole family especially all her cousins," her parents wrote. "Gina will be missed not only by her family, but by everyone whose life she touched. Gina always took great pride in her education. High grades and school involvement were a huge part of Gina's life. She always looked for ways to help others." Joaquin Oliver is seen here in this undated file photo. The night before Joaquin Oliver was killed at school, his father, Manuel Oliver, took his son to buy Valentine’s Day flowers for his girlfriend. The teen took extra time getting dressed for school the next morning and proudly held her flowers and card in the car when his father drove him to school. The teen was buried in NBA player Dwyane Wade's jersey. The Olivers have since started a nonprofit organization called Change the Ref, a platform inspired by their son in part to educate and empower youth in the movement to end gun violence. Manuel Oliver said the nonprofit’s name came from a conversation he had with his son a few months before he died. Joaquin was frustrated by a series of bad calls a referee had made in a basketball game; that inspired the father and son to call the recreational league and ask to have the ref switched for someone who was fair. After his son's death, Manuel Oliver said politicians didn't want to discuss gun control, which he described as the victims' parents' main issue. "So Change the Ref is looking for the right ref to make the right calls, that he has to be impartial, he cannot have any connection or any kind of personal interest with any one of the teams," he said. Alaina Petty, a victim of the Feb. 14, 2018, mass shooting at Marjory Stoneman Douglas High School in Parkland, Fla., is pictured in an undated family handout photo. Alaina Petty was "a vibrant and determined young woman" who "loved to serve," her family said in a statement, according to the South Florida Sun-Sentinel. She was awarded the U.S. Army's Medal of Heroism after her death. Alaina helped rebuild areas of Florida after the state was hit by Hurricane Irma in Sept. 2017, the family said, adding, "Her selfless service brought peace and joy to those that had lost everything during the storm." 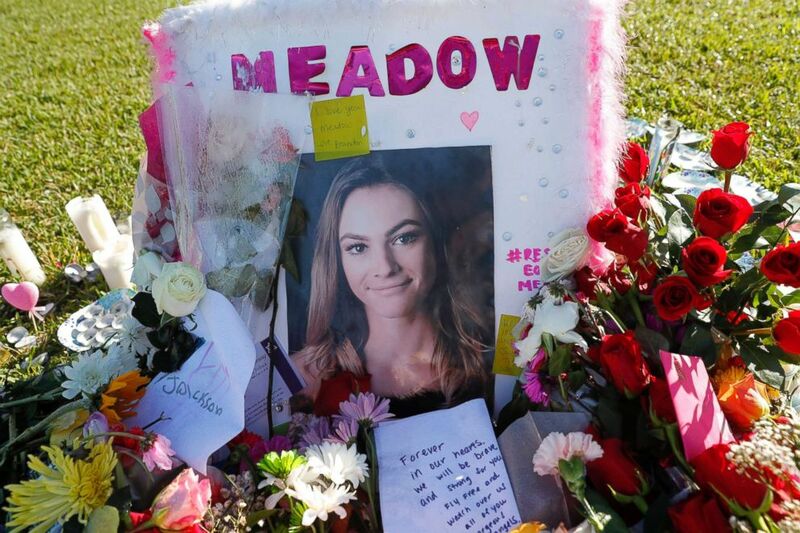 A photo of Meadow Pollack, one of the seventeen victims who was killed in the shooting at Marjory Stoneman Douglas High School, sits against a cross as part of a public memorial, in Parkland, Fla., Feb. 17, 2018. 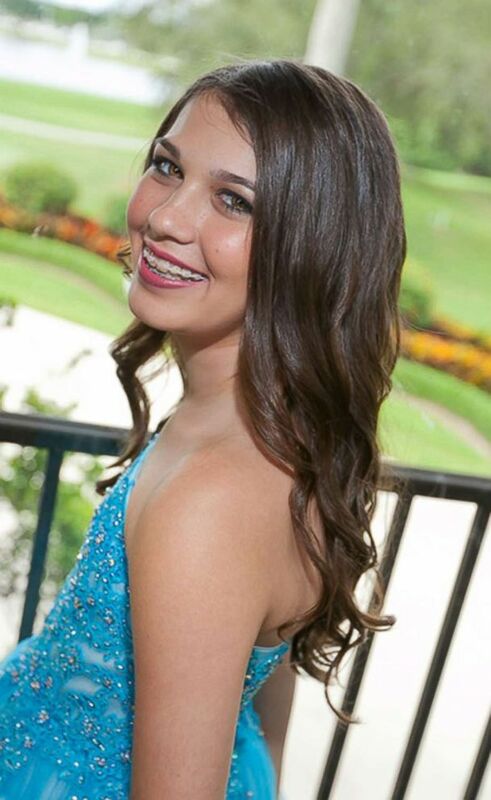 Meadow Pollack "was a beautiful girl, inside and out," her cousin, Jake Maisner, said, according to The Sun Sentinel. A senior at the school, Meadow was the youngest of 10 grandchildren and "the baby of the family," Maisner said, according to the Sentinel. "Everyone wanted to protect her." She had been accepted to Lynn University in Boca Raton, according to ABC affiliate WPLG. "Meadow was a lovely young woman, who was full of energy," said university spokeswoman Jamie D'Aria, according to WPLG. "We were very much looking forward to having her join our community in the fall." Shortly after the massacre, Meadow's father, Andrew Pollack, said at a listening session with President Trump, "we should have fixed it!" after one school shooting. 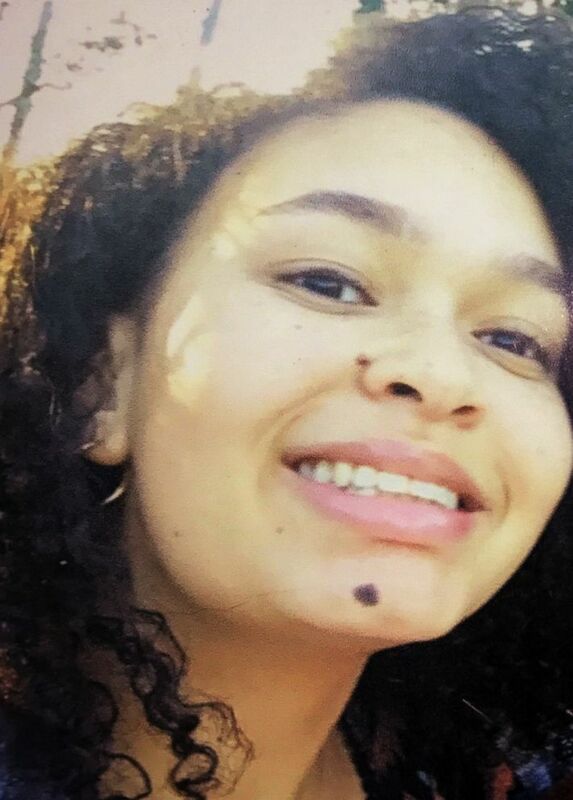 Helena Ramsay, 17 in this undated handout photo, was killed in the Marjory Stoneman Douglas High School mass shooting on Feb. 14, 2018. Helena Ramsay was "kind hearted and thoughtful," and "brilliant and witty," relative Curtis Page Jr. wrote on Facebook. "She was deeply loved and loved others even more so. Though she was some what reserved, she had a relentless motivation towards her academic studies, and her soft warm demeanor brought the best out in all who knew her," he wrote. Helena, a lover of cats and music, moved with her family to Florida from England when she was 2 years old, according to The Miami Herald. Helena's best friend, Samantha Grady, was grazed by a bullet during the massacre. The two spent much of their school days together, and Samantha told ABC News' "Nightline" in February that "going throughout my day without that, it's something that I have to get used to." She said losing Helena taught her to "appreciate the people who are here." Alex Schachter is seen here in this undated file photo. Alex Schachter was just 4 years old when his mother died, his father, Max Schachter, said in his eulogy, which was published in The Washington Post. Max Schachter remarried, and his two sons instantly gained a new loving mother and two adoring sisters, he said. "I moved my family to Parkland because it was an idyllic little community," Max Schachter wrote. "I never thought this would happen to me. I never thought it would happen here." Alex was a talented trombone and baritone player in his high school marching band and orchestra, said Alexander Kaminsky, the school director of bands, the Sun Sentinel reported. Max Schachter wrote to his son's band ensemble group, "he treasured every minute of his time with you... Even though this was your first year together, I can assure you that if Alex were still here today, you would have been lifelong friends." Alex was buried in the same cemetery as his mother, Max Schachter said. Carmen Schentrup is pictured in this undated photo. Carmen Schentrup, a dedicated, accomplished and straight-A student, "was going to change the world," her parents said in a statement posted to Facebook. The precocious teenager was a National Merit Finalist, though she never knew it, as the award came the day after she was killed, her parents said. 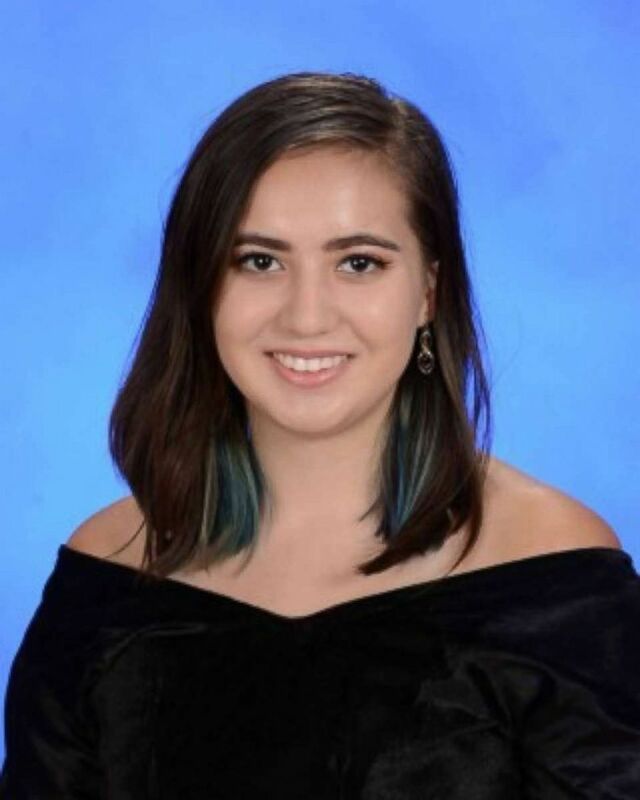 Accepted to the University of Florida's honors program, she "was exuberant to begin her college experience," her parents said, so she could "become a medical scientist and discover a cure for horrible diseases, like ALS." The teen "devoured books" and also loved art and music, the family said. She played piano, violin and guitar and also sang in the church choir. 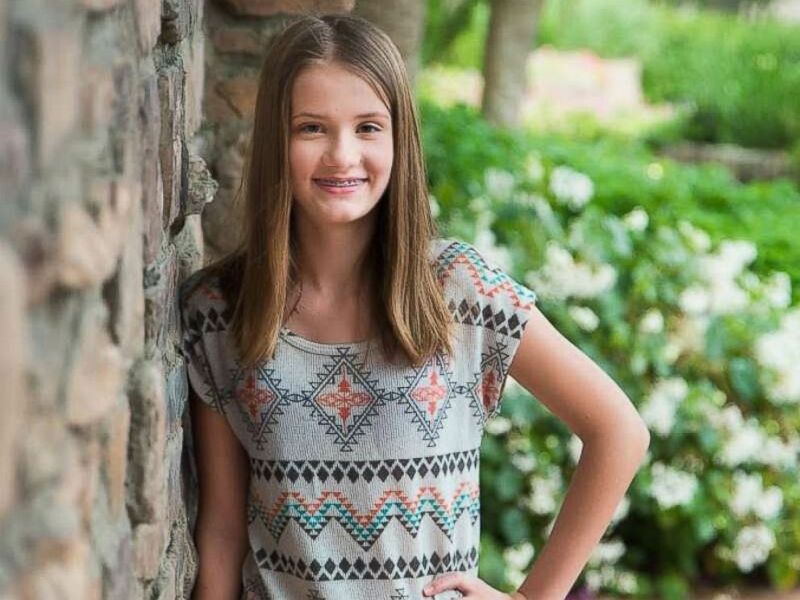 Schentrup was "mature beyond her years," her parents said, yet "still a kid at heart." "We loved that she never outgrew our hugs and would hug us before she went to bed," they wrote. "Carmen was a dreamer," her parents said. A few years ago, they said their daughter dreamed of visiting Germany, so she taught herself the language. "We miss seeing her make her dreams come true." Candles for victims of the mass shooting at Marjory Stoneman Douglas High School are placed at a vigil at Pine Trail Park in Parkland, Fla., Feb. 16, 2018. 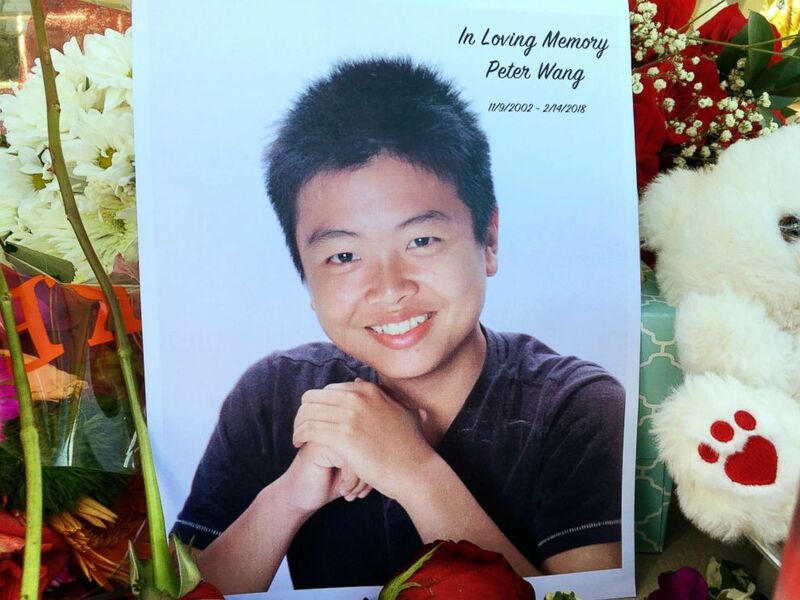 Peter Wang was an Army Junior Reserve Officer Training Corps cadet with "a lifetime goal to attend" the U.S. Military Academy, known as West Point, the Academy said. He was wearing his JROTC uniform when he was killed at school while trying to help his classmates. Peter "was pointing the door open for other people to escape, and then he was struck by the bullets," friend Aiden Ortiz told ABC affiliate WPLG. "I want people to know he died a hero," Ortiz said. "He died saving many people." 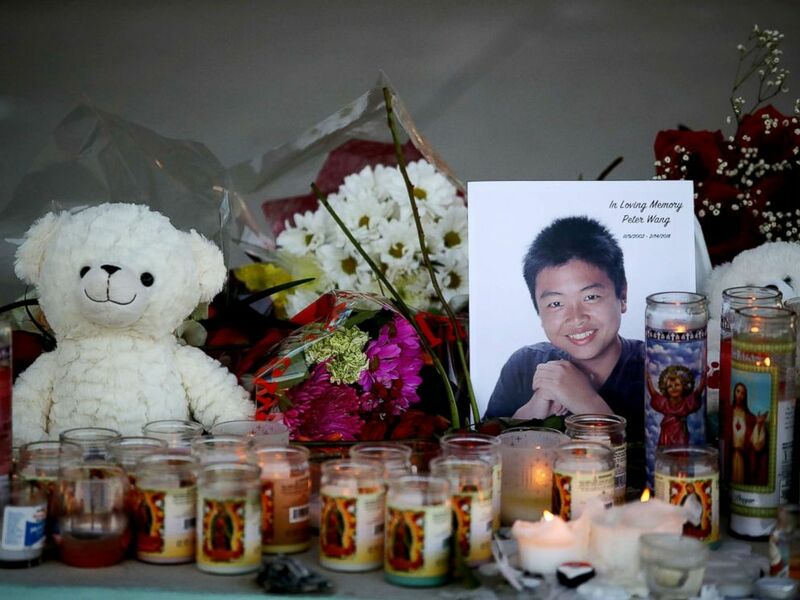 Peter Wang, a student at Marjory Stoneman Douglas High School, is seen in this photo near a memorial in Parkland, Fla., Feb. 16, 2018. West Point in a statement called Peter a "brave young man." West Point posthumously offered him admission "for his heroic actions." Peter and two other slain cadets were awarded the U.S. Army's Medal of Heroism. Peter was buried in his uniform and his family was offered a keepsake medal. ABC News' Meredith Longo contributed to this report.